No, I haven’t abandoned my blog. I’ve just been busy searching for a house which is proving to be much more difficult than I thought. It isn’t because there aren’t any, but the really nice ones are only for sale and the ones that aren’t are either not very nice and not cheap or amazing but way overpriced. I’ve spent the last six weeks searching and still haven’t found anything appropriate. The only compensation I have is that my husband found a fantastic Chinese restaurant downtown so we’ve spent the last two Saturdays drowning our househunting problems in copious amounts of dim sum and roast pork. Opened in 2002 with a Hong Kong chef in charge of the kitchen, Fey Loon specializes in Cantonese barbecue, dim sum and seafood in the middle of bustling Kuta. 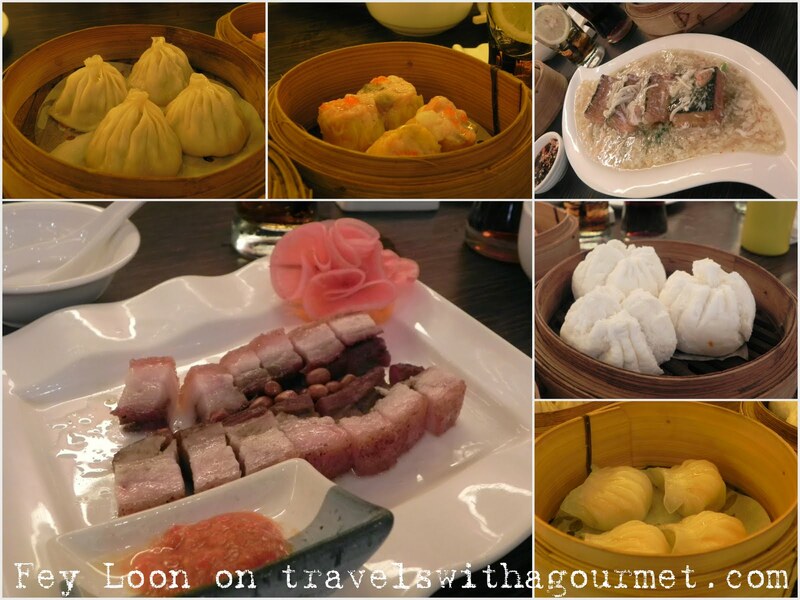 On the two Saturdays that we were there, we ordered several dim sum items and all were freshly-made and delicious – char siu pao (steamed roasted pork buns), har gao (steamed shrimp dumplings), siu mai (steamed pork dumplings), xiao long bao (steamed Shanghai soup dumplings). From the barbecue selection, we have our favorite roast pork belly which is crispy and served with the traditional peanuts. We have also tried the steamed chicken with ginger-soy sauce, stir-fried kai-lan and the fried tofu with egg sauce. The food has been consistent and reasonably priced. The roast Peking duck looks authentic but as we are always only three or four for lunch, we can never order the whole duck but the next time we go in a group, we will definitely order that as well. Lots more to try form their extensive menu, Fey Loon will be one of our regular restaurants and as they also do takeaway, we will surely be ordering Chinese feasts to-go when we finally find a home. I hope that day will be sooner rather than later. (TIP FOR BALI RESIDENTS: If you present your KITAS or Indonesian residency card, you get a discount on dim sum).